If you live on Long Island and have a legal issue regarding immigration or an employment-related dispute, you deserve the best legal advocate on your side to help you obtain the best possible outcome for your situation. Founded by one of the region's most respected and successful immigration and employment law attorneys, the Law Office of Jose G. Santiago, Esq., provides the exceptional representation and support you deserve at rates you can afford. Serving all of Suffolk and Nassau counties and the surrounding communities of Long Island, attorney Jose G. Santiago has achieved notable success negotiating and litigating on behalf of those in need for more than 12 years. 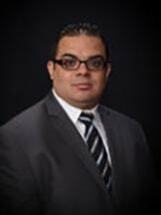 Top-rated by Avvo and having won numerous awards for his professionalism and service, Mr. Santiago has established himself and his law firm as one of the best in the area for resolving immigration and work-related issues. Whether you need help obtaining a visa or permanent residency status or you suffered an injustice at work, such as discrimination, harassment or wrongful termination, you can trust Mr. Santiago and his law firm to fight hard to protect your rights and interests and help you achieve the favorable results you seek. As an added measure of convenience for those who struggle speaking and understanding English, Mr. Santiago is fluent in Spanish, so he can work directly with you to more effectively deliver the high-quality assistance and support you need. For a free evaluation of your case, you can contact the Law Office of Jose G. Santiago, Esq., by calling his office or using the online form on his website to schedule an appointment.